Packaging waste results in about one-third of all trash, and that’s including trailer parks. It costs the government billions of dollars in disposal costs and even more when you think about the environmental spending to combat the pollution. 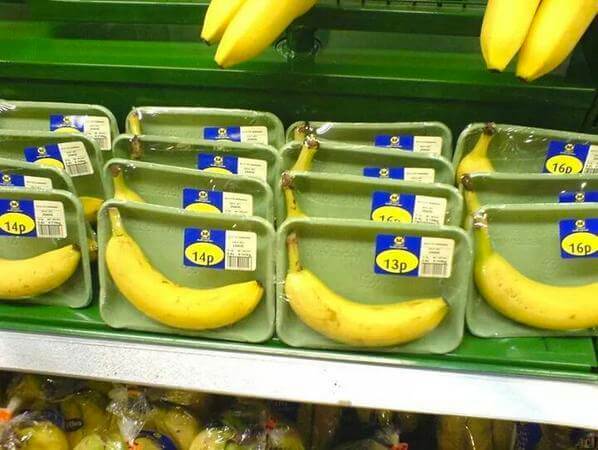 It’s almost impossible to be a consumer and not leave a plastic/ packaging footprint. The eco-minded buyer can easily see that there’s excessive packaging on just about everything. Companies would package a single ant in 15 separate boxes inside of each other for no reason if they could. And why does bubble wrap need to be wrapped in bubble wrap? Enjoy these items and their ridiculous packages. Wait, What’s The Skin For Then? Packaging Fact: Many studies show that a consumer forms their impression of a brand within the first seven seconds. Custom logo boxes and retail packaging that carries a positive brand image are crucial. There is no one angrier about bananas having plastic packaging more than its own skin. Why does a banana even have a protective skin if it’s just going to be by-passed for plastic?